Over the past decade, scientists have begun to study and release their findings about the effects of pH balance, (acidity and alkalinity) in the human body. … Their findings have been nothing short of incredible. And since most of the Western world remains ignorant to the importance and health risks associated with imbalanced body pH levels, we’ve dedicated an entire site to the subject. What is pH Balance and What is Normal in Humans? A pH number measures between 0 – 14 and tells us how acidic or alkaline a liquid is. Liquids that measure below 7 are acidic and numbers above 7 are said to be alkaline. Normal body pH levels in humans range between 7.40 to 7.46, so our blood is slightly alkaline. Your saliva pH should be similar to blood pH and be between 7.0 and 7.5 all day long. You all know that your body has an optimal temperature of 98.6 degrees. … but did you know it also has an optimal pH level? And just as the smallest deviation in your body’s temperature can lead to peril, so can a slight imbalance of the pH levels in your blood. Long-term imbalance of body pH levels can lead to diabetes, heart disease, difficulty losing weight, lack of energy, and inflammatory disorders, along with many other ailments. The particular imbalance we’re concerned about is when your body becomes acidic due to poor, long-term eating habits. It’s called dietary acidosis or “diet-induced acidosis”. While some have theorized, such as Michael Lam (referenced above) that water and pollution lead to acidosis, while this may very well be true, the vast majority of scientists blame the evolution of the Western diet (lots of overcooked meat & high glycemic carbohydrates, not enough non-starchy vegetables and fruits) as the primary cause for the prevalence of acidity in humans. With an increasing understanding of acid–base chemistry has come recognition of the significant differences between contemporary diets and diets more typical of Homo sapiens’ ancestors. Although of course we do not know exactly what our hominid ancestors ate, studies in hunter–gatherer tribes suggest a relatively high intake of plant foods compared with modern-day humans. In a recent study estimating the net acid load (NEAP) of 159 hypothetical pre-agricultural diets, 87 % were found to be base producing, with an estimated mean NEAP of negative 88 mEq/d. In comparison, calculations from the US Third National Health and Nutrition Examination Survey (NHANES III) found the average American diet to be acid producing, with an NEAP of positive 48 mEq/d. Be sure to see our list of 105 High Alkaline Foods – They’re all 100% pH diet approved. The FDA also published this exhaustive list estimating the pH of hundreds of common foods. 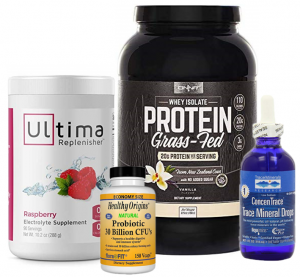 By now, you should have an idea based on our review of alkalizing foods vs. acidic foods, as well as medical conditions associated with acidosis, whether or not you are acidic. If you’re not sure… well, the averages say you are. We are not aware of any hard studies suggesting what percentage of the population is acidic, but many scientists have estimated that it’s easily over half the population in the United States, including a study conducted by US Third National Health and Nutrition Examination Survey, which found “the average American diet to be acid producing”. If you eat pretty well and don’t have any medical symptoms, you still may be acidic. Some effects of acidity are long-term. So just as the smoker might not see the effects of cigarettes for many years, and that doesn’t make them healthy, you should still take acidosis very seriously. One way to tell for sure if you have an acidic body is to test yourself. 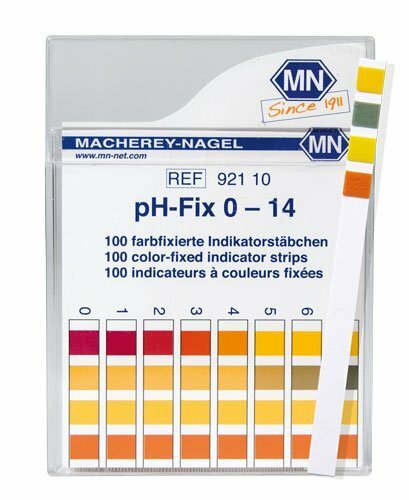 Single colored pH strips can be very difficult to decipher between colors, so we recommend these multi colored strips Macherey-Nagel 92110 0-14 pH Indicator Strips 100/Box Full Disclosure: We earn a commission if you click this link and make a purchase, at no additional cost to you. If you have determined that you need to do something about the acidity in your body, you’re in luck. There are two excellent ways you can balance your body pH level. Most experts recommend cutting down on pasta, soda, and coffee while increasing consumption of the alkaline foods like nuts & vegetables. Many nutritionists say you should aim for an 80/20 split of alkaline/acidic foods, while others argue a 60/40 breakdown is okay. Our theory at Living Phit is that both of these numbers are unrealistic for most Americans. If you have the discipline to turn around your eating habits and bid pizza and coffee farewell, that’s awesome. My question is whether controlling your acidosis by diet is really sustainable. If you’re wondering the same thing, you might want to go the supplement route. 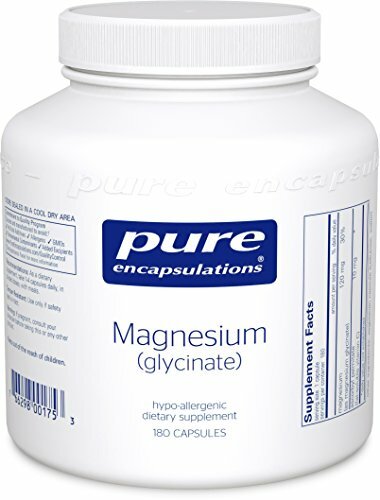 Magnesium Pure Encapsulations – Magnesium (Glycinate) – Supports Enzymatic and Physiological Functions* – 180 Capsules Full Disclosure: We earn a commission if you click this link and make a purchase, at no additional cost to you. To cope with acidity, your body may withdraw calcium from your bones since it is a natural anti-acid mineral. Like a bank account from which regular withdrawals are made, your bones can become vulnerable to excessive calcium losses. To help restore the amount of calcium in your body, you can supplement with this critical mineral. 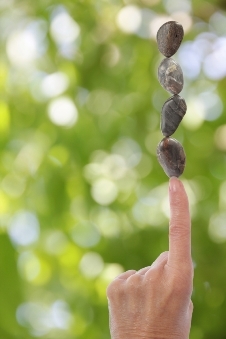 Magnesium is often the silent partner to calcium, who dances in the limelight. But the truth is they go hand in hand, and magnesium may be even more important to supplement with. Jigsaw Health estimates that up to 80% of Americans are magnesium deficient. Both calcium and magnesium are available in pill form which you can buy at almost any health or grocery store, or large retailer such as Target. There are various products on the market that claim to alkalize your body. Some of them come in drop form or powder, which you may mix with your drinks or sprinkle over your food. One example would be Alkazone Alkaline drops, which has received amazing reviews on Amazon. Another is AlkaCare pH, an alkalinity balancing formula by Bioclinic Naturals and designed by our friend, Dr. Pizzorno, and which has been proven to reduce the effects of dietary acidosis in clinical trials. Another example, is *Alkalete by Yoli. In clinical trials, Alkalete decreased acidity in those who took it by over 50% after 5 days, bringing them up to the higher end of normalcy at 7.4. It has a unique blend of potassium and magnesium hydroxide, very strong compounds not typically used in other nutritional supplements. Click here for our full Yoli Diet Review. In full disclosure, at Living Phit, we are also Independent Distributors for Yoli, so of course our opinion may be biased here. 🙂 But we know Alkalete works because we’ve heard hundreds of friends and family members in the Yoli family tell us their amazing stories. The jury is in. The harmful long-term effects of acidosis are clear. We hope you’ll take this information now, and take action! Share this page with your loved ones. Start eating a more alkaline diet, or implement one of the other ways to alkalize your body.